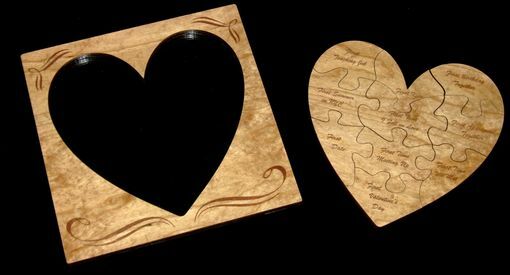 Wood heart puzzle. 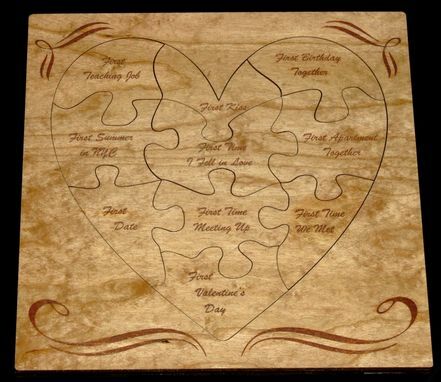 The puzzle is made of two layers of finished plywood on top of a clear plexiglass bottom. 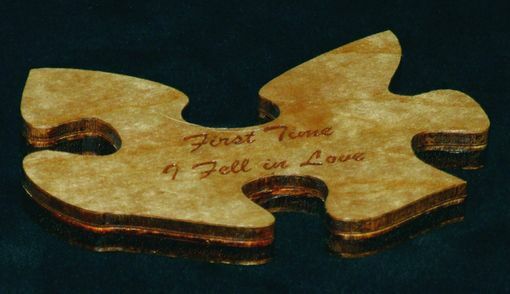 Each puzzle piece is laser cut and has a laser engraved inscription on it. When all puzzle pieces are put together, they form a saying on back which is viewed through the plexiglass back. 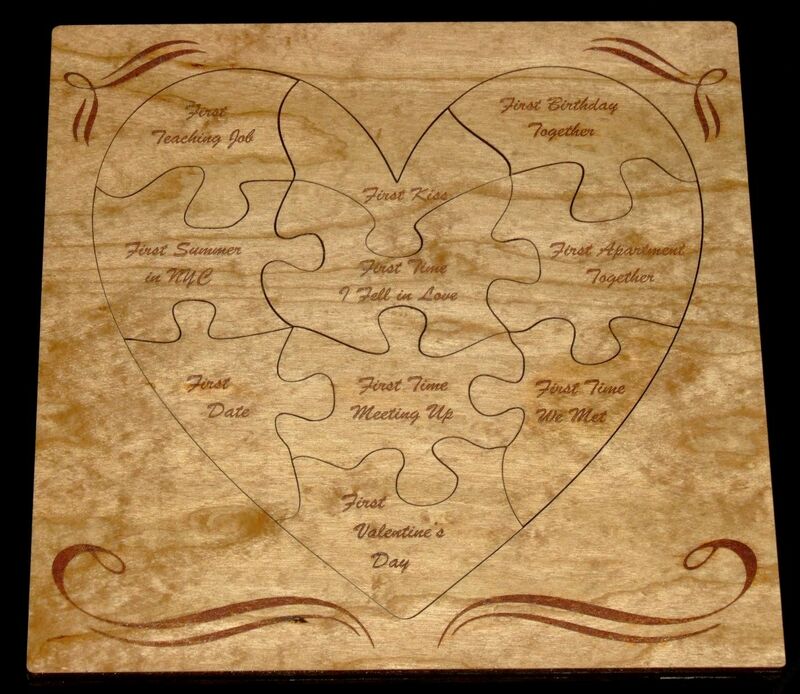 The puzzle front is laser engrave with a decorative border. Dimensions: Dimensions are almost any size. 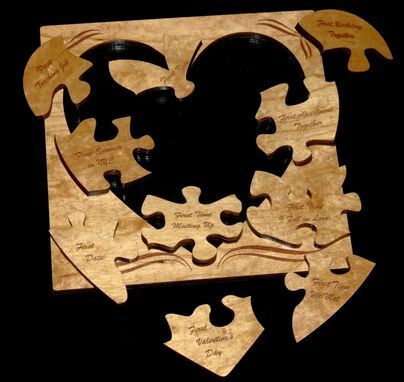 This puzzle is 8.5 x 8.5 with 10 puzzle pieces. Working with Remi was a true pleasure. I had contacted him early on and then had to delay the start of my project for close to two months. He was patient and got started right away. The product was beautiful, but had a crack in the final product; he was immediately responsive and took care of it. He was professional, timely and does great work!